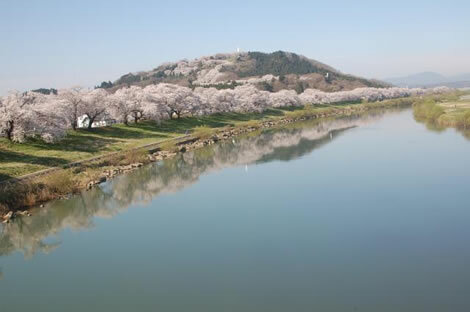 Overview and location of "Shibata Cherry Blossom" in Shibata-machi, Miyagi Prefecture, a sakura attraction location which is one of the 100 selected sites for seeing cherry blossom in Japan. 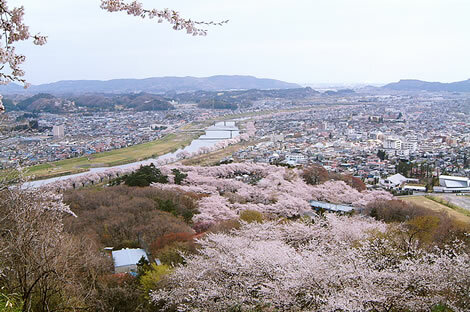 You can see cherry blossoms everywhere from the Funaoka castle, Shiroishigawa banks, the town and woodlands, everywhere. 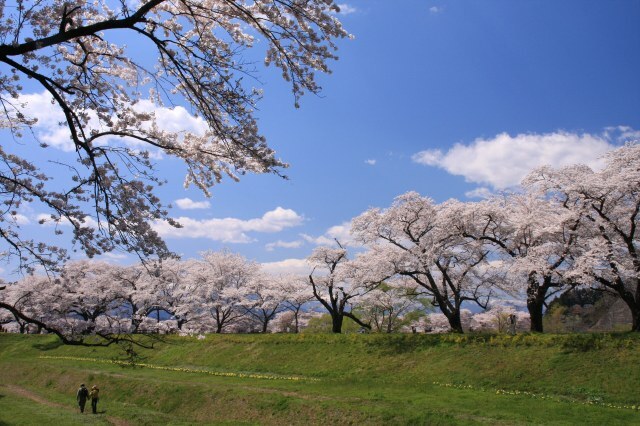 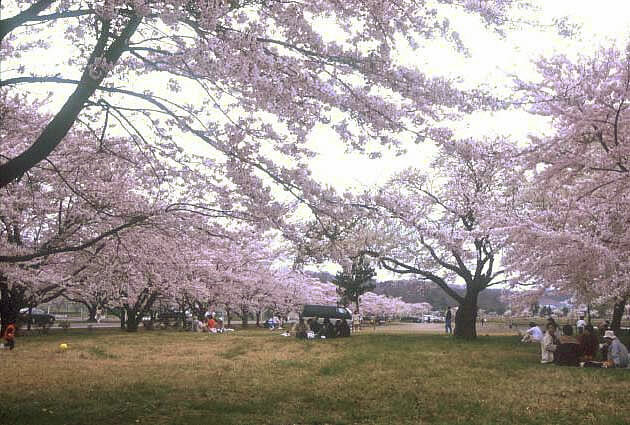 The "famous four major cherry blossom attraction locations" are the "Funaokajyo Park", "Shiroishigawa banks", "Taiyo no Mura (sun village)" and the "JGSDF Camp Funaoka". There are cherry trees that we have nurtured and talk about in this town. 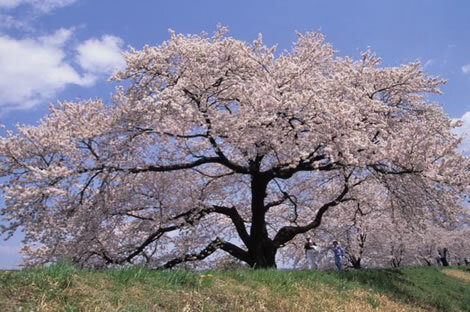 Shibata-machi, "Famous four major cherry blossom attraction locations"
Funaokajyo Park also was the stage for the NHK Taiga Drama "Momi no ki wa nokotta (The Fir Tree Remains)". The fir tree that towers over the other trees in the park is the tree that helped Shūgorō Yamamoto put a title on his novel. 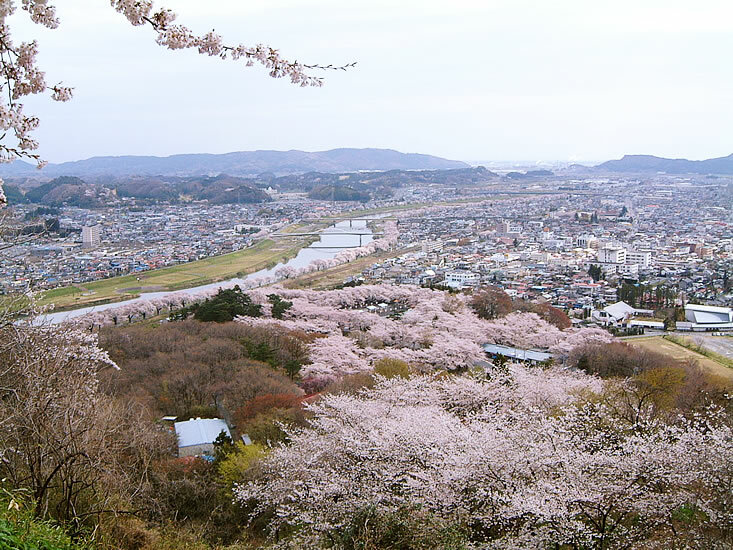 You can view the Zao mountains, the thousand cherry trees along the banks of the Shiroishigawa, and the town as well from the summit. The slope car 305 m long in length will take you through the cherry tree tunnel to the park summit. 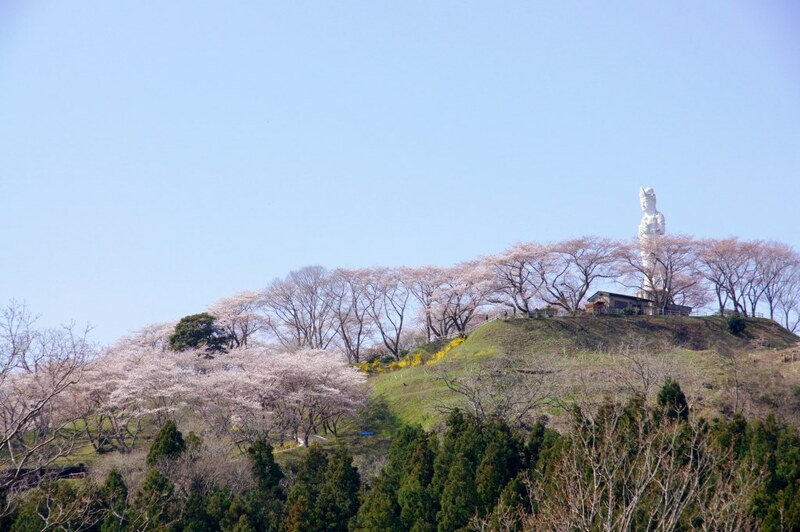 In the part are over 1,000 Somei Yoshino cherry trees and when in full bloom the whole mountain turns pink. 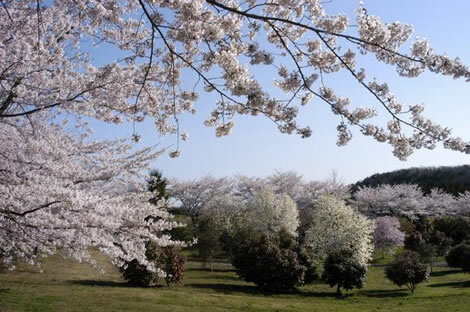 During the cherry tree viewing season (early April ~ mid April), the park is crowded with over 200 thousand visitors from both inside and outside the prefecture. The one thousand cherry blossoms that bloom along the Shiroishigawa banks from the Funaoka banks of Shibata-machi to the Ogawara-Kanagase (total length about 8 km). 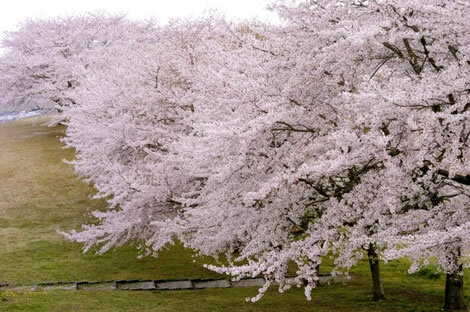 The large Somei Yoshino cherry trees that were planted during the Taisho period (1912-1926) together with the snow covered Zao mountain is an impressive sight. If you walk about 15 minutes from the Sakura footbridge downstream, there is the largest cheery tree foliage in Japan (height 13.70 m, trunk circumference 4.85 m, branch spread from east to west 21.30 m and from north to south 25.50 m). 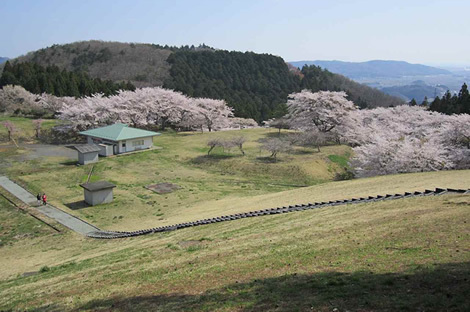 Located in the hills at an altitude of 200m, where you can look over both the Zao mountains and the Pacific Ocean, the 4 hectares of wide lawns where you can play at your own will. 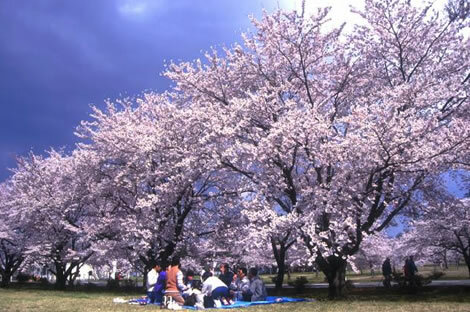 There are about 400 cherry trees planted around the village. 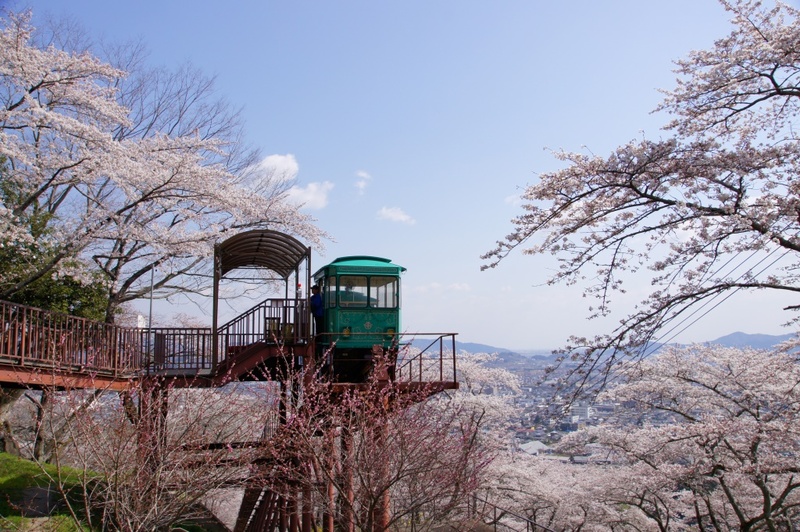 The cherry blossoms flower about 5 days after the trees in Funaokajyo Park, and it is an ideal spot to enjoy a quiet flower viewing while looking down at the town. 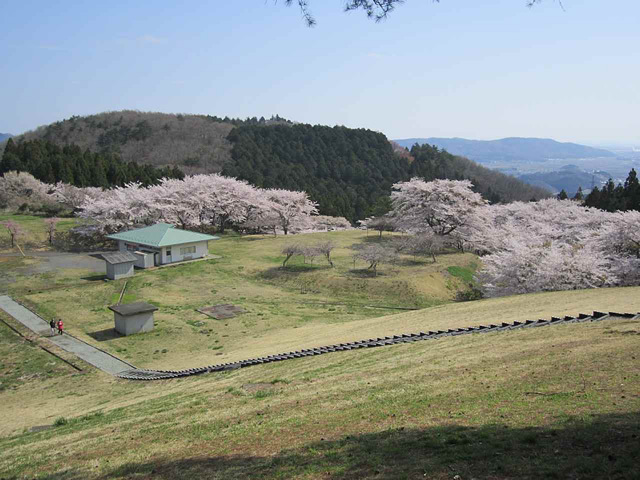 The JGSDF Camp Funaoka is 176 hectares in size and has about 700 cherry trees planted, and has become a hidden cherry blossom viewing point. 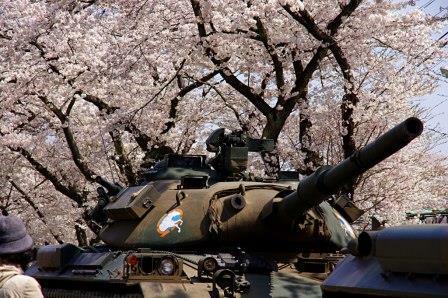 In mid-April every year when cherry trees bloom, the "JGSDF Camp Funaoka Cherry Tree Festival" is held, and is open to the public. During the festival period, from the Onuma gate is the cherry tree tunnel in full glory on both sides of the road, and is crowded with many families enjoying viewing the cherry trees on the wide lawn. During the period, there is an anniversary ceremony and music performances, and riding experience as well, and the blossoms are lit up from 8 pm.